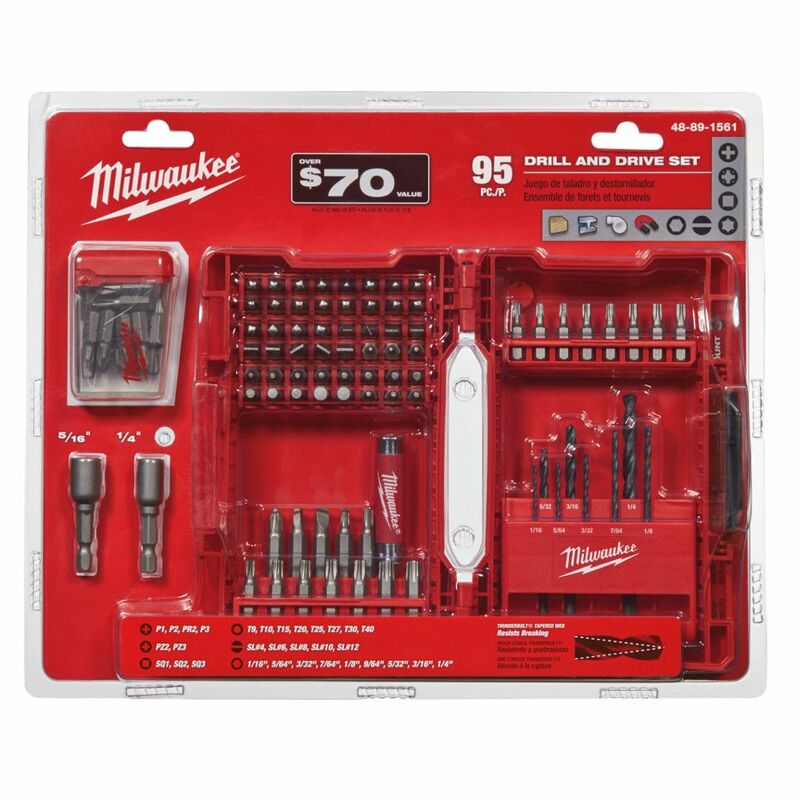 The Milwaukee 95-Piece Drill and Drive Bit Set helps provide solutions for multiple drilling and fastening applications. The drill bits are suitable for use with drilling metal, wood and plastic. The driving bits are intended for use in quick change projects. Bosch Cobalt Metal Drill Bits provide 4X longer life than standard high-speed steel drill bits, plus they provide outstanding performance in stainless steel. These have been engineered for contractors and other pros who need solid, reliable bits for demanding drilling applications in stainless, cast iron, and high-density metal. These bits also are useful for general-application drilling in high-carbon steel and light-gauge metal, as well as wood and plastic. The split-point tip has been engineered for no-skate starts and clean, accurate holes. The three-flat shank design on bits 3/16 In. and larger promotes better gripping and guards against slipping. The toughness of titanium and a wide selection of drill bit sizes makes this 21-piece set a favourite among DIYers and professionals, alike. The 1350 split point tip makes starting a precise hole easier without having the bit "wander," which can often ruin surfaces. Ideal for use on metal, wood and plastic materials, these bits last longer than standard high-speed steel drill bits. 95-Piece Drill and Drive Set The Milwaukee 95-Piece Drill and Drive Bit Set helps provide solutions for multiple drilling and fastening applications. The drill bits are suitable for use with drilling metal, wood and plastic. The driving bits are intended for use in quick change projects.